On the “Damn, I could live there” index, you’d probably expect a shipping container to fall somewhere between a storage unit and a woodshed. 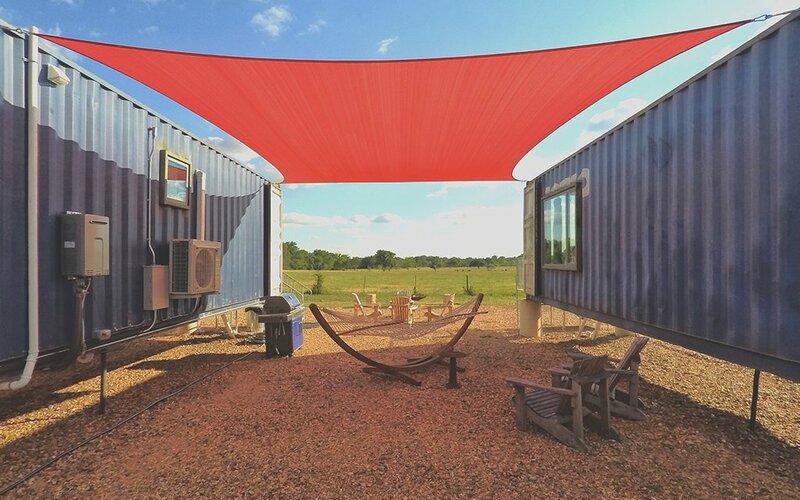 Disproving that assertion: Flophouze, a shipping container hotel and bespoke manufacturer in Round, Texas, offering prospective home buyers the opportunity to take the concept out for a test drive before ordering one for their own. 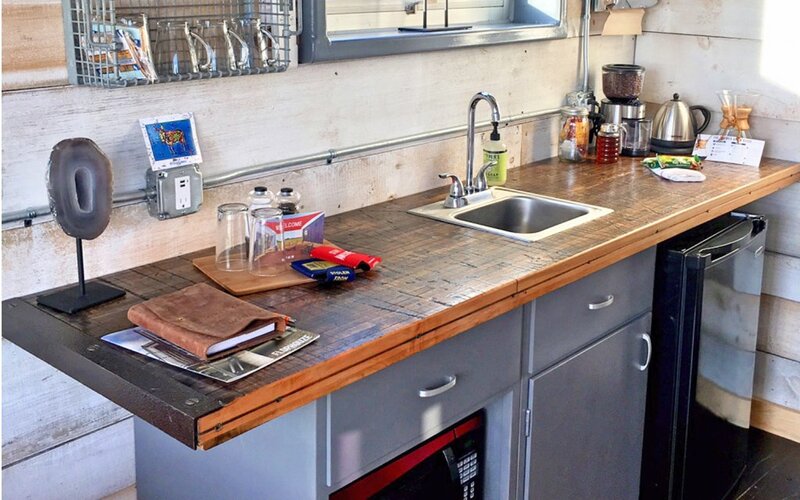 Keeping in line with the tiny-home industry standard of sustainably sourced materials (and taking it a step further), many of Flophouze’s furnishings trace back to demolished schools, farms, laboratories … even a bowling alley. And those furnishings, from the bedroom to the kitchen to the bathroom, are decidedly well-appointed, employing a sort of rustic warehouse swank, all within a sturdy, storm-resistant container that’s traveled the world like a Navy cook. 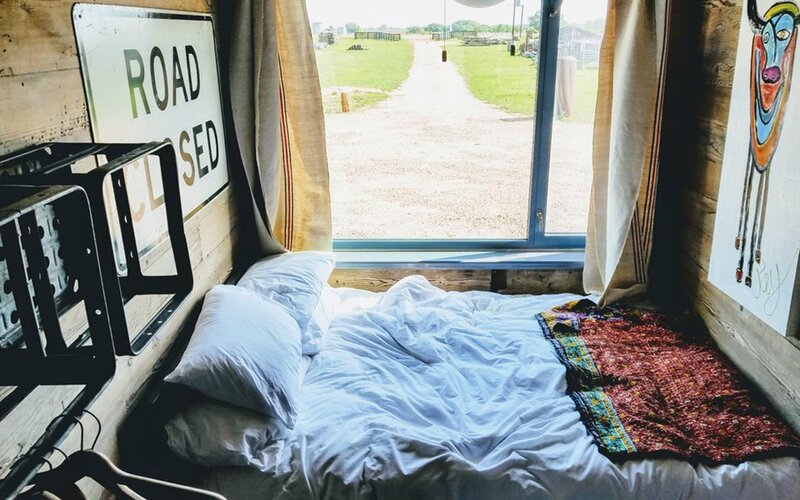 Staying for a night will only cost you around $175, and offers the best chance to see if container living is right for you. An important decision, considering it gets a bit steep from there: acquiring a turnkey container of your own will range from $49-99K for the 40- and 50-foot models. 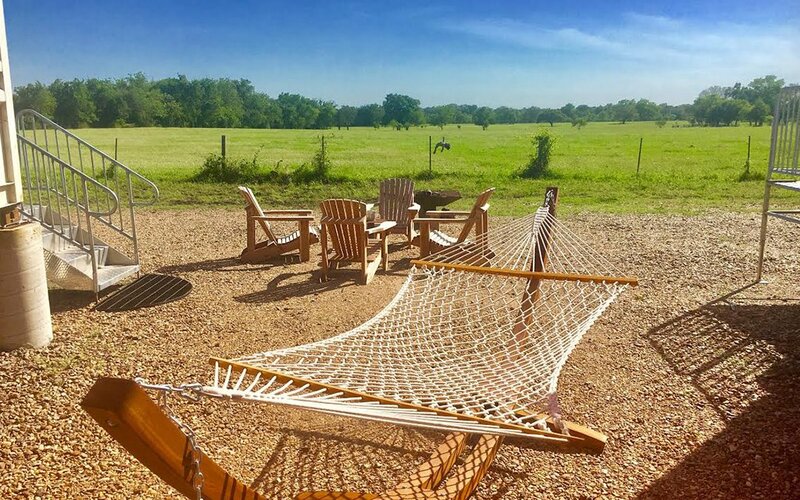 Find more information about booking a stay here, and if already sold, start designing your own model here.